Have a Booming Voice and a Love of the Game? Do you love the sound of your own voice almost as much as you love basketball? If so, consider auditioning to become the next public address announcer for the Wizards. John Wall's team is looking for a new voice to announce their home games for the 2010-11 season. If you have a booming voice and knowledge of the sport, you have the opportunity to get in on the action. 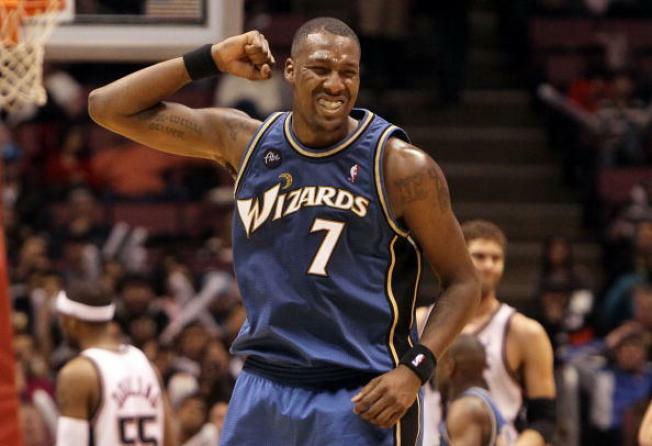 If you want to experience the excitement of the games with J-Wall, Gilbert Arenas and thousands of fans, head down to the Verizon Center Sept. 13 from 6-9 p.m. for auditions. But is yelling at the TV the most experience you have? Don't be discouraged. Basketball announcing experience is a plus, but not required. Applicants can sign up online. And if you'd rather just watch the game in the stands, tickets are already on sale for the season home opener against the 76ers.